Neuk Hoose in Crail, near St Andrews, Fife sleeps 4 people. 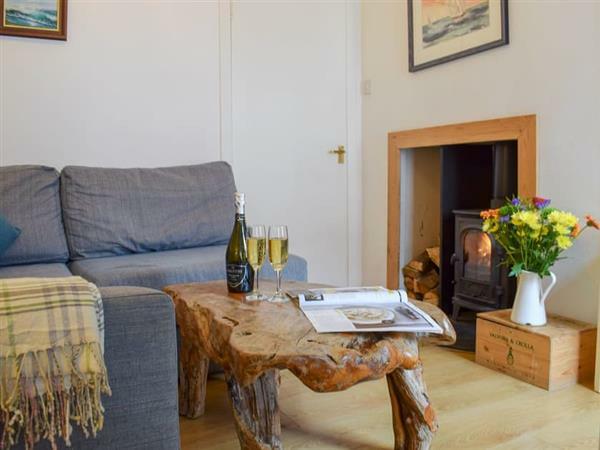 Neuk Hoose near St Andrews is perfect for a couple or small family; Neuk Hoose is a terraced property about 800 yards from the harbour and sandy beach. Being in the centre of Crail, shops, galleries restaurants and pubs are all within a few minutes’ walk from the front door. The Grade II listed building retains much of its original character and charm, and provides a welcoming and quirky holiday home over three floors. On the ground floor, the open plan kitchen/dining room is fitted with quality appliances and is well equipped for preparing a family meal. The first floor has a double bedroom and a comfortable living room with a wood burner - ideal for a cosy evening in cooler weather. The second floor has a family bathroom, a single bed room and a child’s single bedroom. For guests who enjoy walking, The Fife Coastal Path runs through the village and leads in either direction to secluded coves, little fishing villages, and white sandy beaches. The Millennium Cycle Way runs through central Fife, with miles of quiet country roads, disused railways and forest tracks to explore along your way in this most picturesque and historic areas of Fife. For a day out, St Andrews is only 9 miles away and is well worth a visit with its excellent shopping facilities, numerous restaurants, pubs and bistros. There are many historic buildings to visit both in the city centre and in the surrounding area. It is also known as the home of golf, and golf lovers will enjoy visiting the British Golf Museum or playing on one of the championship courses. Water sports are available locally with sea kayaking and open canoeing along the shore. Neuk Hoose is an ideal all year round location for a short break. The beach is 800 yards from Neuk Hoose near St Andrews. With the shop, pub and restaurant 200 yards from Neuk Hoose. Kitchen/dining room: With electric oven, electric hob, microwave, fridge, dishwasher, washing machine and wooden floor. Living room: With wood burner, 22 Freeview TV with Youview, DVD player and Smart speaker. Bedroom 3: With low 2ft 6in single bed (for child) and sloping ceiling. 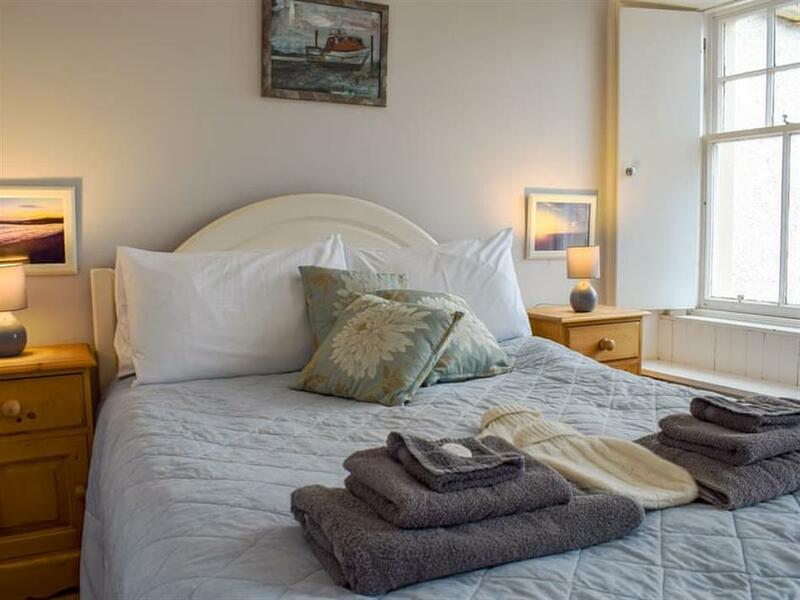 Gas central heating, electricity, bed linen, towels and Wi-Fi included. Initial logs for wood burner included. Travel cot, highchair and stairgate available on request. Welcome pack. Garden furniture. On road parking; additional public car park, free of charge. No smoking. Holidays at Neuk Hoose run from Saturday to Saturday. Pets allowed at Neuk Hoose. For a better idea of where Neuk Hoose is, you can see Neuk Hoose on the map below. Neuk Hoose is in Fife; should you be on the lookout for a special offer, you can find all the special offers in Fife. It's always worth checking to see what is on offer at the moment. Do you want to holiday near Neuk Hoose (UK5993), you can see other cottages within 25 miles of Neuk Hoose; have a look to find your perfect holiday location.